The FOTCOH WASH Program, which is delivered through our Education Clinics, focuses on the hygiene aspects of WASH (Water, Sanitation, and Hygiene) in an effort to nurture good hygiene practices, especially hand washing with soap. Although it sounds simple, this act is essential to prevent disease and the health of children. Something as simple as hand washing can save lives. Washing hands with soap at critical times, like after going to the toilet or before eating, can have a significant impact on children’s health. Good hygiene practices reduce the incidence of diseases such as pneumonia, scabies, skin and eye infections and diarrhea-related diseases like cholera and dysentery. The key to improving hygiene practices amongst children is to promote behavioral change in schools and communities. As a second and very important part of the FOTCOH Education Clinics, beyond teaching hand washing, is educating children and their families about the importance of using clean water sources and storing water safely. Although there are many outside factors as to why Haitians don’t have access to safe water that we cannot control, it is still crucial to educate Haitians about safe water practices and offer solutions for families based on their particular environment and resources. 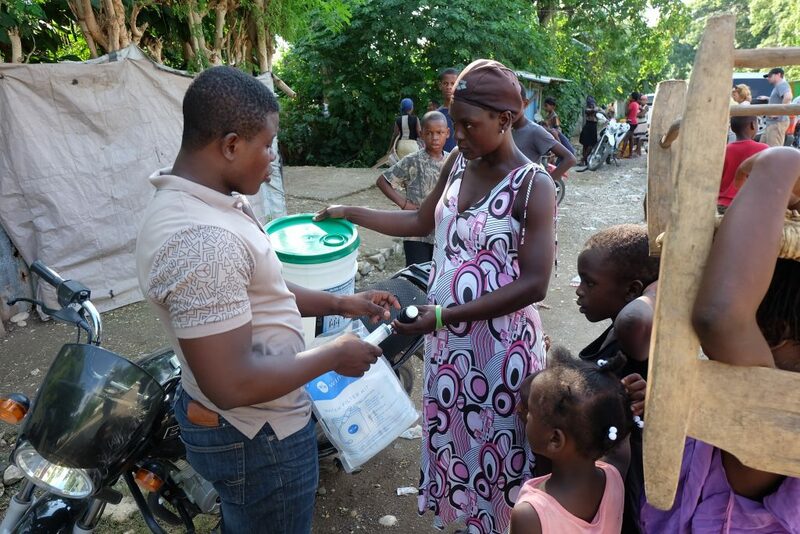 Volunteers who participate in the FOTCOH Education Clinics will learn WASH techniques and practices through training conducted by our Community WASH Promoter in Haiti. The volunteers will then take the knowledge they have learned and instruct local Haitian children and adults on how to properly wash their hands, clean their hands after using the bathroom, safely prepare food, and how to brush their teeth through activities. The FOTCOH WASH Program will also teach Haitian families water treatment, safe water storage, and handling. The volunteer program will also include cultural activities so the volunteers get a better understanding of Cyvadier, including tours of the city, visits to the beach, and site visits local homes, churches, and restaurants.